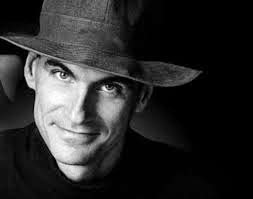 I am not sure that I have ever mentioned my strong and undying respect for James Taylor. He is one of the most prolific artists in the history of music for sure. His songs are stories that seem to warm you and make you pay attention to life and how we are each affecting it and each other, each and everyday. His music has sold over 100 million units worldwide and the number continues to rise as we speak. I believe that he is a true humanitarian in every sense of the word. This morning I watched an interview of his that was taped aboard the QE2 last year if I am not mistaken. There were so many nuggets of bliss that made me stop and think over and over again. One of the things that he said was that he is constantly humbled when people come out to see him and his band. However, what he really wants people to know is that he is not that much different from any one of them. He has had ups and downs so many times. He came back from substance addiction and marriage failures and so many things. He went on to speak about this band and how he truly feels that it is somehow the perfect compliment that this assembly of musicians have chosen to play with him. He explained that they all have their own careers outside of his project and that they are all just the best musicians in the land. He has a drummer named Steve Gadd, who you may or may not know. This exceptional drummer has a cd call "Gadditude" that I recommend listening to right away if you want to hear some really powerful songs and drumming as well. I thought that name was really slick to use for a cd as well. One of my favorite things to listen to, is how very well know musicians describe their "fame". James basically said that he cannot understand how one person could even for one moment, put themselves above another because of their musical talent. He believes that we are all equal in our quest to feel life and to just make a difference by feeling love, and making a contribution of sorts. He finds strong egos in musicians disgusting.One person asked if he could promise to never retire. He answered by saying that he would play as long as people came to see him. When asked if he had ever written a song that he was not proud of in his career. His answer was that he has never finished a song that he wasn't fully committed to. If he didn't resonate with it, then it was not recorded.That was a very inspiring answer that I will revisit in my mind many times in the future. Lastly, James does something that I have never seen on any other artist's website. he actually teaches you how he plays some of this songs, wraps his fingers prior to playing, as well as tunes his instrument. I find that those who are as gifted as him are almost always not afraid to share their wealth of instruction. That means the world to me on so many levels. He answered every question with such honesty and insight that I did not want the interview to end. I am listening to his live CD as I type and it is the perfect compliment to these moments. If you want nice treat, go his website HERE and just take a look. He lets you into his world and he does it with grace and openness. Thank you James. I am humbled by your energy, your songs, your way of seeing life as we know it.